Unhealthy Relationships – CounselCare Connection. P.C. This summer I found out from my fiancé’s sister that he was sexually abused when he was little. We have been together for almost 5 1/2 years and he has never told me. I think some of his present behavior could be caused by this. For instance he has cheated on me in the past, he thinks very highly of himself, and he is very critical of others. I believe I can help him, but I just don’t know how. Should I bring this up? From your description above, “he has cheated on me in the past, he thinks very highly of himself, and he is very critical of others,” your fiancé has character qualities which are not conducive to a lasting and healthy relationship, those being unfaithfulness, egotism and perfectionism. His past sexual abuse issue now is not as important as dealing with your relationship and whether he will be able to change. Secondly, you say you can help him. That is co-dependent logic which results in excessive dependency and the taking on of someone else’s responsibilities. You have not changed his character and behavior yet. Only he can change himself and work through past issues in his life. 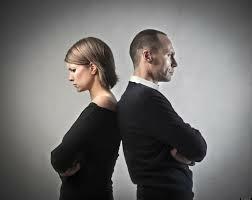 The issue here is you are the giver in this relationship and he is the taker. You are willing to do anything to keep this man in your life no matter how he treats you. What makes you willing to put up with his behavior and a relationship based on his terms and needs? Maybe you are suffering from low self-esteem and fear of abandonment. What if you decide now that because you are a person of value and worth you deserve to be treated as such? Instead of thinking about his needs and issues, determine to think about your needs and how he should treat you because you are worth it! Tell him that in order for you to stay in the relationship you want him to give back to you – faithfulness, acceptance and concern for your needs. Write out specifically what this will look like. Aren’t you worth being treated with respect in a relationship? Aren’t you worth getting something back and being treated like “number one?” After all, you are planning to be married. Make some personal goals now to grow in self-worth, assertiveness, setting boundaries and understanding God’s love for you. It’s not wrong to be a giver in a relationship when both are givers. But, when one is a taker, the giver tends to give up everything, including her dignity and self-esteem. Don’t let that happen to you. So, let’s look more specifically at how to become a giver in relationships without giving up our dignity and principles. Here’s the list of characteristics of givers vs. takers. Consideration is basic to any healthy marriage. Philippians. 2:1-2 tells us to put one another’s interests above your own. It’s difficult for a taker to consider anyone else’s opinions or interests above their own – because he or she is only focused on self. “Get rid of all bitterness, rage, anger, harsh words, and slander, as well as all types of malicious behavior. Instead, be kind to each other, tenderhearted, forgiving one another, just as God through Christ has forgiven you” (Ephesians 4:31-32). “But you, Timothy, belong to God; so run from all these evil things- follow what is right and good. Pursue a godly life, along with faith, love, perseverance, and gentleness” (1 Timothy 6:11). “But just as you excel in everything-in faith, in speech, in knowledge, in complete earnestness and in your love for us-see that you also excel in this grace of giving” (2 Corinthians 8:6-7). “There is no fear in love; but perfect love casts out fear, because fear involves punishment, and the one who fears is not perfected in love. We love, because He first loved us. If someone says, ‘I love God’ and hates his brother, he is a liar; for the one who does not love his brother whom he has seen, cannot love God whom he has not seen. And this commandment we have from Him, that the one who loves God should love his brother also” (1 John 4:18-21). “And now I want to plead with those two women, Euodia and Syntyche. Please, because you belong to the Lord, settle your disagreement. And I ask you, my true teammate, to help these women, for they worked hard with me in telling others the Good News” (Philippians 4:2-3). “Don’t be selfish; don’t live to make a good impression on others. Be humble, thinking of others as better than yourself. Don’t think only about your own affairs, but be interested in others, too, and what they are doing” (Philippians 2:3-4). “Always keep yourselves united in the Holy Spirit and bind yourselves together with peace” (Ephesians 4:3). “He grants a treasure of good sense to the godly. He is their shield, protecting those who walk with integrity. He guards the paths of justice and protects those who are faithful to him” (Proverbs 2:6-8). “So again I say, each man must love his wife as he loves himself, and the wife must respect her husband” (Ephesians 5:33). “The LORD examines both the righteous and the wicked. He hates everyone who loves violence” (Psalm 11:5). “and I hate a man’s covering himself with violence as well as with his garment,” says the LORD Almighty” (Malachi 2:16). “We should live in this evil world with self-control, right conduct, and devotion to God” (Titus 2:12). “Whoever wants to be a leader among you must be your servant, and whoever wants to be first must be the slave of all. For even I, the Son of Man, came here not to be served but to serve others, and to give my life as a ransom for many” (Mark 10:43-45). “So encourage each other and build each other up, just as you are already doing” (1 Thessalonians 5:11). “Love is patient and kind. Love is not jealous or boastful or proud or rude. Love does not demand its own way. Love is not irritable, and it keeps no record of when it has been wronged. It is never glad about injustice but rejoices whenever the truth wins out. Love never gives up, never loses faith, is always hopeful, and endures through every circumstance” (1 Corinthians 13:4-7). Do you think yours is a healthy, biblical relationship? Are you a giver or a taker? What about your significant other? Are you in an abusive relationship? Read the related articles to get help.